Our Brandy Rose is distilled on a bed of rocks in this truly original, romantic arrangement. 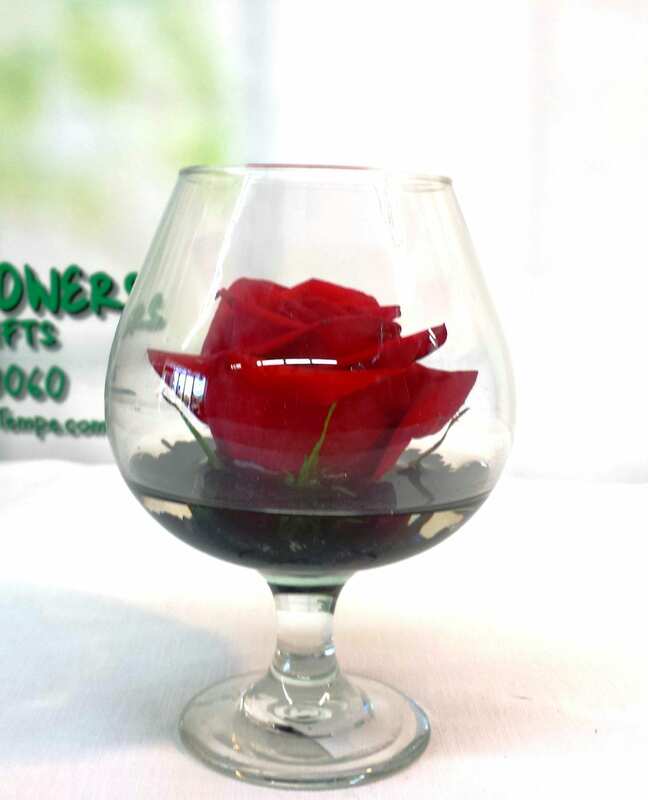 The Brandy Rose is designed inside clear glass brandy snifter, this simply sweet Happy Hour bouquet will wow your sweetheart all day long. Please let us know what color rose you want and if you have a preference on rock color in the special instructions at checkout. *ROSE COLORS AVAILABLE = RED, WHITE, YELLOW, LIGHT PINK OR ORANGE. *ROSE COLORS AVAILABLE = RED, WHITE, YELLOW, LIGHT PINK, HOT PINK, LAVENDER OR ORANGE.